Trump has dismissed the CIA’s assessment that Khashoggi’s slaying was ordered directly by Saudi Crown Prince Mohammed bin Salman, Saudi Arabia’s de facto ruler. Khashoggi, a Saudi-born, U.S.-based journalist for the Post who had been critical of Saudi leaders, was last seen heading into the Saudi consulate in Istanbul on Oct. 2. Schiff said his panel will examine the CIA’s findings as well as whether Trump’s private financial relationship with the Saudis influenced his response as president. 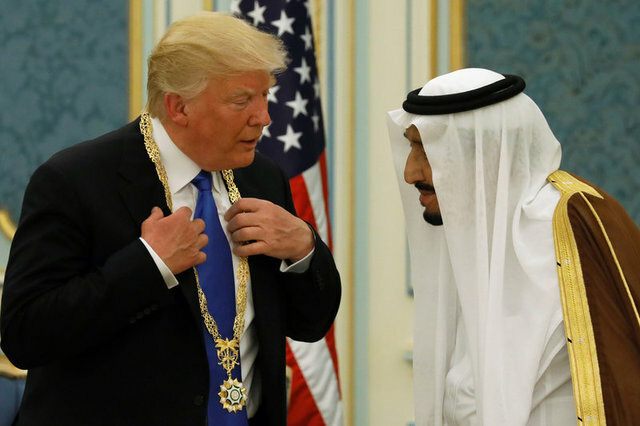 Trump, who still owns his business as president but has said he relinquished day-to-day control, told a rally in 2015 he earned “hundreds of millions” of dollars from Saudi purchases. Trump has defended his stance toward Saudi Arabia, a key U.S. ally in the Middle East, citing U.S. arms deals with Riyadh and the larger U.S. strategy toward Iran.